The former Chairman of Kegalle Pradeshiya Sabha and the organizer for Keggale from Mahinda faction D.M. Upali Dissanayaka has joined the UNP. He became a member of the UNP after meeting the Prime Minister today (11th). Weerakumara Dissanayaka, the Deputy Leader of Mr. Wimal Weerawansa’s NFF and its National Organizer Piyasiri Wijenayaka have crossed over to the SLFP. 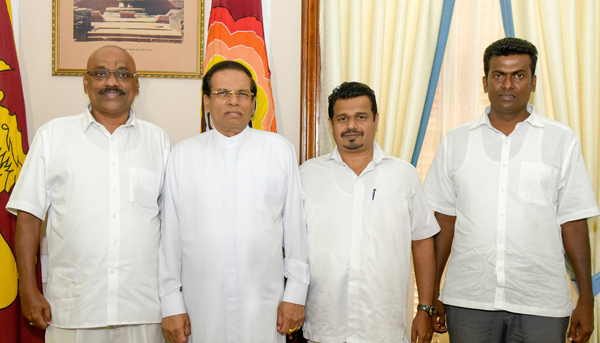 They met President Maithripala Sirisena today (11th) and took became members of the SLFP say reports. 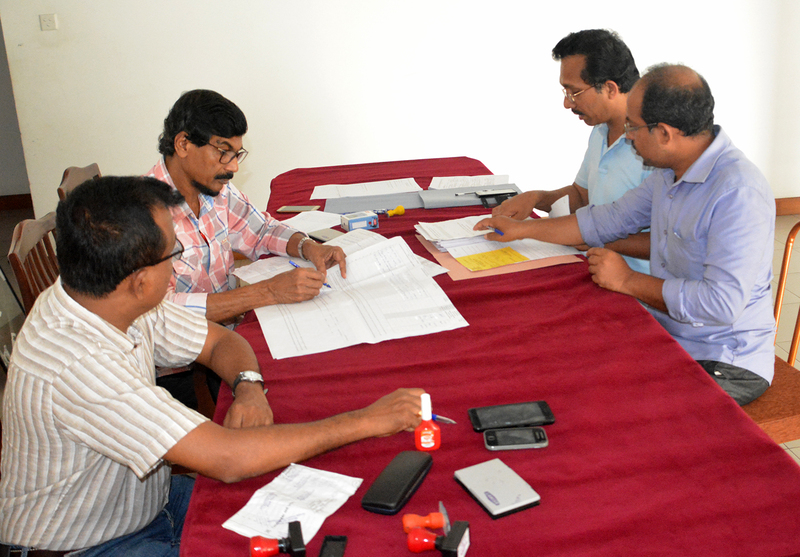 The North Central Provincial Councilor of the party P.B. Kumara too met the President along with Messrs. Dissanayaka and Wijenayaka and became a member of the SLFP. Today the Constitutional Council that met today (11th) had to be abandoned after ony two minutes as the members appointed to the Council by Mahinda faction of the SLFP did not participate stating 20 of their Members were not allowed to express their views. Members of the Mahinda faction have often complained to the Speaker that their Members were not allowed to express their views in Parliament or at the Constitutional Council. As such, today the Council met with the intention of giving an opportunity to the Members of the Mahinda faction to express their views. 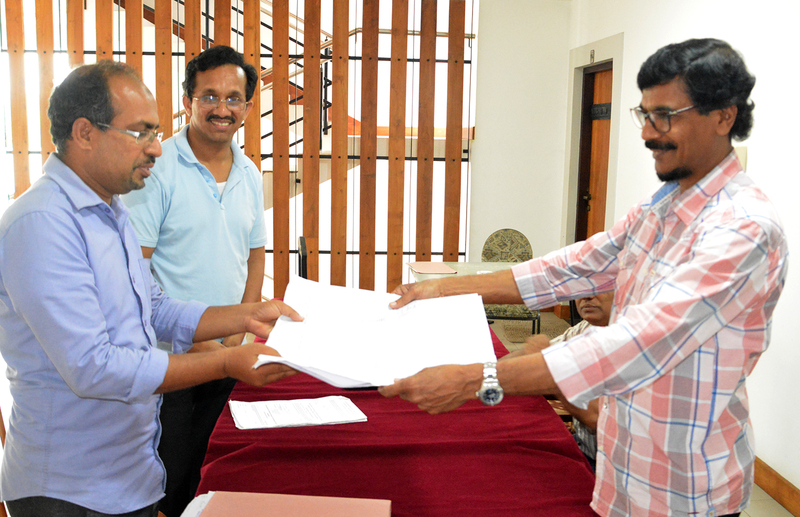 However, the functions of the Council had to be abandoned after a short time as the Members of the Mahinda faction boycotted the opportunity though Members from the JVP and the TNA expressed their views. Mahinda faction avoiding the opportunities they get to express their views in Parliament is carrying out a propaganda through media that they are not given an opportunity to express their views. However, the opportunity they had to vote against the proposal to hand over Hambanthota Harbour to China too was avoided by Members of Mahinda faction. Furthermore the Mahinda Rajapaksa, retired president who is a Member of Parliament for Kurunegala District has been avoiding voting and expressing views at very crucial events during the last two years. The JVP intends introducing a ‘code of ethics’ to the candidates contesting the forthcoming Local Government Election from the party. All candidates have been called for a summit to be held at Sugathadasa Indoor Stadium on the 17th at 9.00 a.m. where the candidates will give the oath to work for the people and refrain from fraud and corruption. The Information Secretary of the JVP Parliamentarian Vijitha Herath said the party has selected the best teams for the councils and they are expected to be well-disciplined and people and environmentally friendly people’s representatives. The summit to be held at Sugathadasa Indoor Stadium on the 17th will be under the leadership of party leader Anura Dissanayake and will be attended by other leaders of the party, the clergy, intellectuals and trade union leaders of the party. 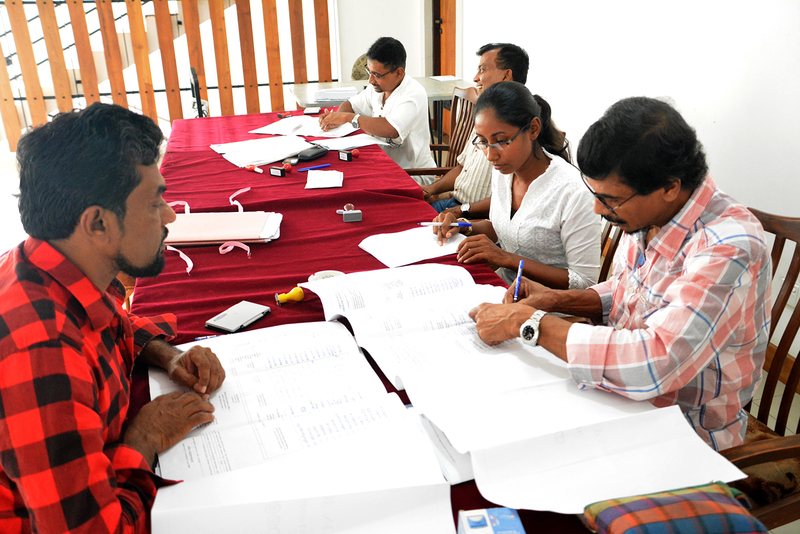 The official signatures for the lists of candidates for the 93 councils for which nominations are received from today (11th) were placed at the head office of the JVP at Pelawatta yesterday (10th). 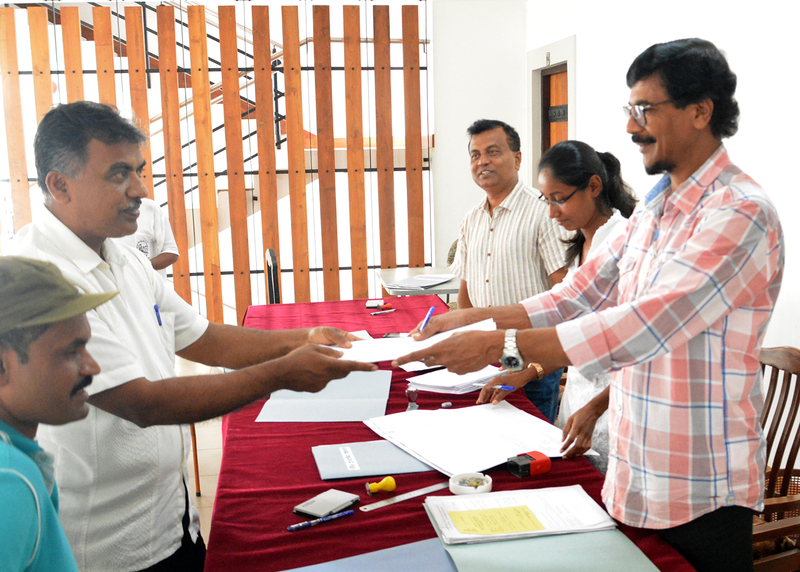 The General Secretary of the JVP Tilvin Silva and Attorney at Law Sunil Watagala placed their signatures attesting the nomination papers. Recently, the media published that a chief Buddhist priest had been involved in the murder of popular ‘Dala Poottuwa’ of Galgamuwa, the tusker with intertwining tusks, and the society wondered who this priest was. Now, this has been revealed as a Buddhist priest had filed an anticipatory bail application stating there was a move to arrest him. The incumbent of Polpithigama Nagala Raja Maha Viharaya is the Buddhist priest who has filed the anticipatory bail application requesting Mahawa Magistrates Court to prevent any move to arrest him in connection with the murder of ‘Dala Poottuwa’ of Galgamuwa, cutting away the two tusks and its transaction. It is stated that the anticipatory bail application was filed through lawyers on the 8th. The priest has filed the application when the CID was to question him in connection with the murder of ‘Dala Poottuwa’.The priest was absconding for more than a week and the police say he couldn’t be questioned regarding the murder of ‘Dala Poottuwa’. The driver of the priest and the Gramaseva Officer of Herathgama, who is a very close associate of the priest have been already arrested and remanded in connection with the murder of ‘Dala Poottuwa’. Ms. Shriyani Wijewickrema, the Member of Parliament for Digamadulla District representing the party of Mr. Dinesh Gunawardene, the Leader of the Mahinda faction of the SLFP joined the Maithri faction of the SLFP after having discussions with President Maithripala Sirisena yesterday (10th) evening. Ms. Shriyani Wijewickrema met the President at his official residence and has said she would support the political programme followed by Mr. Maithripala Sirisena.